In our training centres in a central location in México and Perú; We rent equipped, modern and networked training and conference facilities and support in the professional area. These facilities provide all the support you need to stage events to satisfy professional demands. We’re happy to accommodate your wishes regarding room size, event timing and duration, equipment, and technical support. All facilities are equipped with a beamer, whiteboard, flipchart and PCs with highspeed Internet access. Simply let us know what you need, and we’ll make you an offer without obligation on your part. You can reach us any time (507) 294-4841 or oder info@flane.co.cr Give us your contact data and state your requirements, and we will get in touch with you as soon as possible. Sited in Colonia Anzurez, Delegación Miguel Hidalgo, México City, México, our training center offer training and conference rooms featuring state-of-the-art networked equipment. Fast Lane also offers the option of room rental for trainings, lectures and presentations to institutional customers. 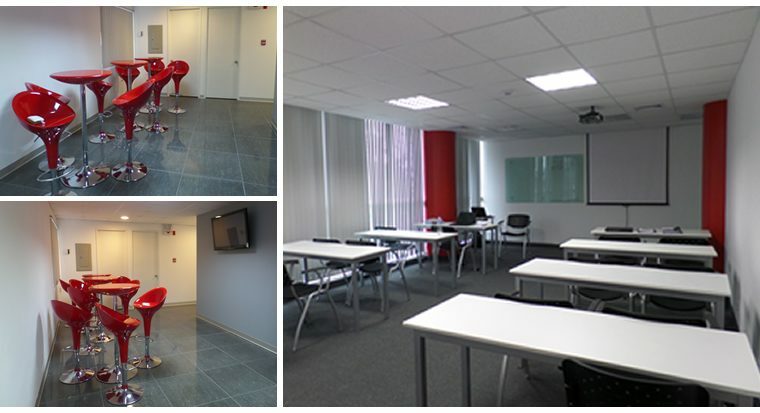 Fast lane training center in the heart of Mexico CIty offers the possibility of seminar rooms with or without to rent equipment. You may choose between 3 classrooms of different sizes. In addition, our coffee break area provides plenty of space to relax during the breaks. Our comprehensive service, the representative atmosphere as well as the technical equipment of our Seminar rooms will be the success of your event with security. All rooms are equipped with video projector, whiteboard, flipchart and high-speed Internet access. Note that for events outside our normal opening times Monday to Friday from 8:00 to 18:00 may incur additional costs. Please vote your requirements in advance with us. Our training center is located in Lima, Perú. The training centre has a very good transport links, hotels and restaurants are in the immediate vicinity.In addition, your company has a unique and very special space for events that require a pleasant spot, with advanced features and great location. 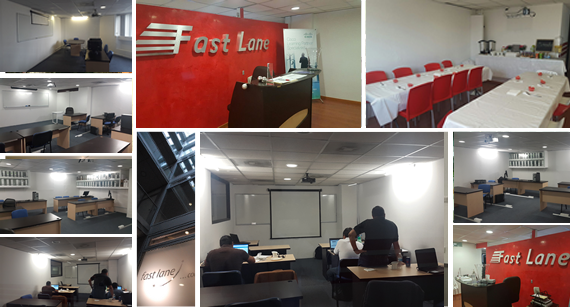 Fast lane training center in Lima, Perú offers to rent facilities, seminar rooms, with or without technology. You can choose between classrooms of varying size. Our comprehensive service, the atmosphere as well as the technical equipment of our seminar rooms will be the success of your event with security. Please note that for events outside our normal opening times Monday to Friday from 8:00 to 18:00 may incur additional costs. Please plan and define your requirements in advance with us.